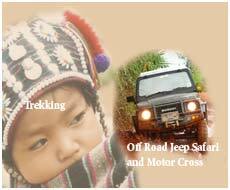 Create your own Adventure Holiday in the most beautiful aera of Northern Thailand. Check Adventure Combination Packages that include a stay at Eeds Adventure Camp. 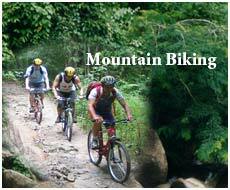 2 day Mountain biking trips Jeep safaries etc..
Trekking is one of the main reasons people come to Chiang Mai, it’s one of the safest and best locations in Asia – and the network is well established. Northern Thailand is extremely mountainous, but with a good climate - not too cold. It’s also very tropical and populated by unique hill tribes, which add colour to the whole experience. Chiang Mai is the main centre from which to organise trekking in Northern Thailand, and we can help you arrange treks for you with guarantees. It gets busy in the season, resulting in disappointments, or unscrupulous companies promise trips that are cancelled at the last minute due to lack of numbers - that doesn’t happen with us. We've also partnered with Siam River Adventures to bring you adrenalin junkiesa complete fix, we can offer you a combo adventure that includes whitewater rafting as well. Spend the day on the lively Mae Tang river (July - November) as it tumbles out of the Northern Thailand mountains. 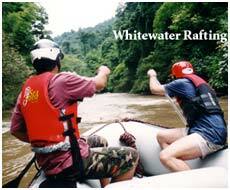 Jason Younkin and his team are the only company in Chiang Mai certified in international swift water rescue. Rock climbing enthusiasts are also lucky, as Chiang Mai has two climbing walls and some excellent crags and faces out at Mae On - east of the city. Lots of great routes have been marked here and the conditions are very good. 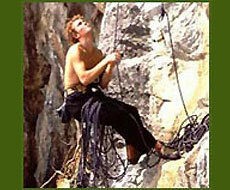 We recommend Chiang Mai Rock Climbing Adventures run by Josh Morris and his pro team.